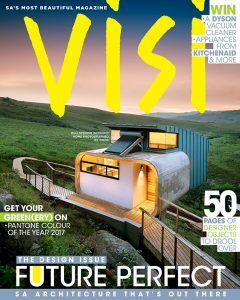 “VISI is a celebration of living well; an authoritative voice on South African design, decor and architecture that recognises individual style and talent in these fields. 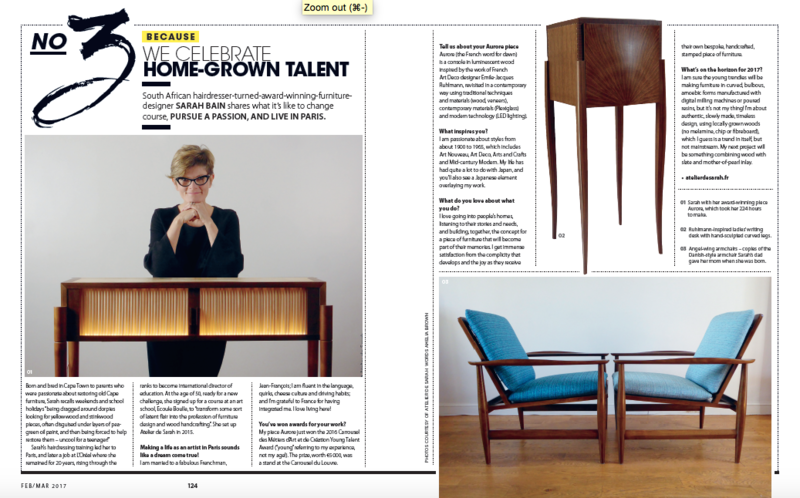 An article on Sarah BAIN was published in the Feb/March 2017 issue, an elegant publication covering decor, design, architecture and lifestyle in South Africa. The article is about Sarah BAIN, a South African who went from hairdresser to furniture maker, via the L’Oréal Group and who won the Young Talent competition at the Carrousel des Métiers d’Art et de Création 2016, an international exhibition at the Louvre.